Here's our guide to what's on offer. 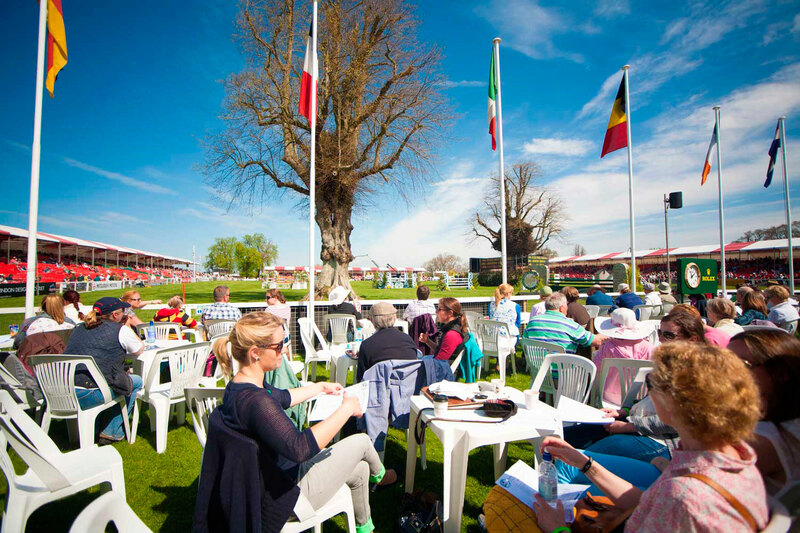 The Badminton Horse Trials always attracts huge crowds and its shopping village with over 275 retailers is a huge reason why many of us will flock to this part of Gloucestershire this weekend. All the shops are temporally erected just for these five days and are arranged like a small town with streets, a central square, a pharmacy and even a chapel. Here’s our guide to what’s on offer. Hailing from the Eddw Vale, Wales a bespoke pair of Davies boots are a favourite of many hunting folk. Get a new pair of boots measured up here and save a trip to Wales to otherwise do so. If you want to find one shop that stocks riding equipment from most of the leading equestrian retailers then this is the one. Showcasing some of the best holidays available on horseback in various African destinations. Offbeat Safaris are also holding a memorial drinks party for the late Tristan Voorspuy at this stand on Friday 5th May at 4.30pm. 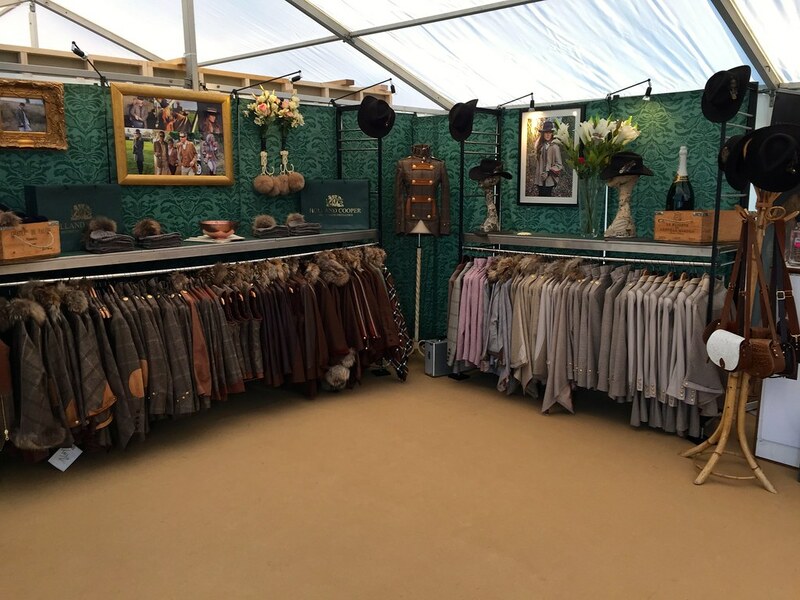 For new riding caps and top hats, Patey are one of the market leaders and you can go and get a new one measured at their Badminton stand. You can also bring in your old hat for refurbishment and take a look at their safety range. The British made fashion house are known for their contemporary tweed wear and offer stylish town and country clothing for women, men and dogs. Get the opportunity to see these well designed and comfortable garden furniture in the flesh. You can then compare their construction to the other garden furniture stands close by. These makers of unique British products provide leather good and accessories, which can be personalised while you wait. Go visit the people responsible for creating the prestigious Cheltenham Gold Cup. They are the only official Rolex retailer in the Cotswolds and also offer fine jewellery and other expensive gifts. Relish, a specialist Events Catering Company, are the people behind this bar and will bring fine dinning to a central position right by the main score board. Be able to sample and buy a wide variety of gourmet food and wine all under one roof. Examples of the types of food on offer include cheeses, sausages, juices, ice cream, sweets and paella. A traditional pub with great atmosphere brought to you right by the main big screen and catered by the same catering company as the Deli Wine Bar. Located opposite the Mitsubishi Square just off Beaufort Way. Enjoy a premium beverage right by the famous Badminton lake in full view of a live big screen. A stand dedicated to toys, games and scale model agricultural machinery which could provide a great way to keep your kids quiet or to be used as bribery. A charity that was set up by Hannah Francis who lost her battle with bone cancer last year. Here you can buy all types of Willberry clothing, bags, wristbands, pens, numnahs and more with all the proceeds going towards bone cancer research and granting horsey wishes to those with serious illnesses. Having been around for the last 85years the Pony Club is open to anyone up to the age of 25 and has been the starting point for a large majority of equestrian athletes. Visit this stand to take a look at their merchandise and find out about their membership. If you have run out of cash or need a coin exchange then head to this cash, banking and bureau facility. If you have been caught out by your phone running out of battery then this mobile phone charging and power banks is the place to go. When you get bored and tired of carrying your shopping you can use the onsite shop and drop facility just off Somerset Way and next to the Lost People facility.